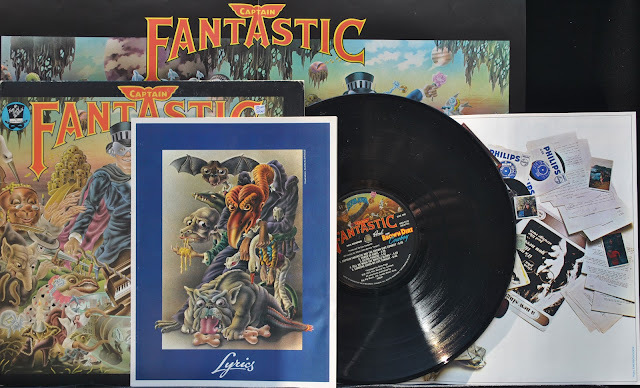 This was the first record I ever owned and I played it out so much, loved this album Elton John & Bernie Taupin wrote such fantastic songs on this album. The band always inspired me and Nigel Olsson quickly became one of my favorite drummers. 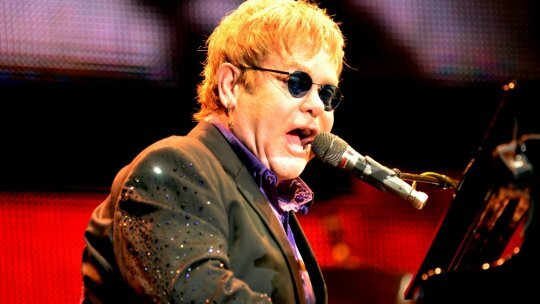 Elton and his piano playing, well we all know how well he plays that don't we? Here is a promotional video for the release of this album. 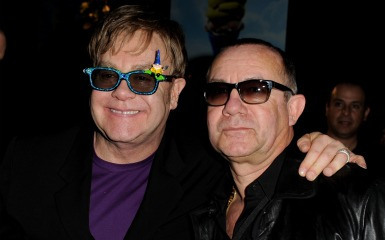 Below is a picture of Elton and Bernie taken last year! This album would debut #1 when it first came out and stayed there for seven weeks.It was certified Gold on 21 May 1975 and was certified Platinum and 3x Platinum on 23 March 1993. "Someone Saved My Life Tonight", the only single released from the album (and a number 4 hit on the U.S. Pop Singles chart), is a semi-autobiographical story about John's disastrous engagement to Linda Woodrow, and his related 1969 suicide attempt. The "Someone" refers to Long John Baldry, who convinced him to break off the engagement rather than ruin his music career for an unhappy marriage. It was viewed byRolling Stone writer Jon Landau as the best track on the album: "As long as Elton John can bring forth one performance per album on the order of 'Someone Saved My Life Tonight', the chance remains that he will become something more than the great entertainer he already is and go on to make a lasting contribution to rock." 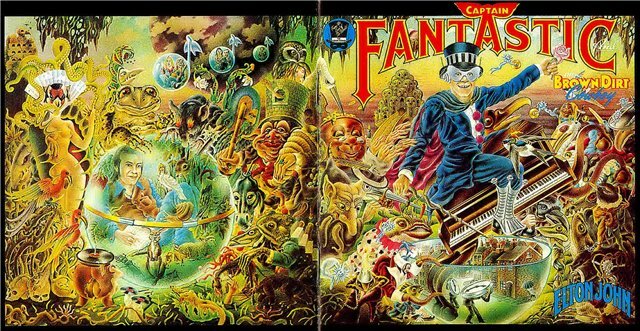 In a 2006 interview with Cameron Crowe, Elton said, "I've always thought that Captain Fantastic was probably my finest album because it wasn't commercial in any way. We did have songs such as 'Someone Saved My Life Tonight,' which is one of the best songs that Bernie and I have ever written together, but whether a song like that could be a single these days, since it's [more than] six minutes long, is questionable. Captain Fantastic was written from start to finish in running order, as a kind of story about coming to terms with failure—or trying desperately not to be one. We lived that story." This is STILL my personal favorite album of his my 2nd is Goodbye Yellow Brick Road.